On the same day, Rouhani, president of the Velayat-e faqih, said: "Whether you want or not, we shall defend the oppressed people of Yemen, Syria and Palestine, and we will strengthen our military and defense capabilities to the extent necessary." A week ago, Rauf Sheibani, a former regime's ambassador to Syria, while calling export of terrorism to the region and the world as "resistance" said, "the Basiji volunteers from all over the world have been rushing into Syria in order to confront the global campaign against the axis of resistance, and they needed a solid military organization. The role of Iran and our military commanders who served as advisers in Syria was to mobilize, lead and direct these volunteer forces ... Several nationalities in the form of a military body, including Afghan, Iraqi, Pakistani, African, Hindi, European "(Ofoq TV-State -16 September). Mullah Ali Saeedi, the representative of Khamenei in the Revolutionary Guards, also said on September 13, "Today, Iraq and Syria serve Islam (read religious fascism).” “Sometimes we say what is our business regarding Palestine, Syria, Iraq and Lebanon... we have a responsibility in the world", "and we are the one to create the ground for the globalization of Islam" he said in response to a public disgust at the regime's interference in the region.  The confession of the highest officials of the clerical regime regarding the warmongerig and terrorist interferences of the mullahs’ regime in the Middle East and Africa necessitates the need for eviction of this regime from the region and the expulsion of the IRGC forces and mercenaries from these countries more than ever.